Lieutenant Louis Stanley Edgett was from Hillsborough, Albert Co., New Brunswick and was born June 23, 1894. He was listed as being born at sea on the Indian Ocean on board the Ship Stanley. 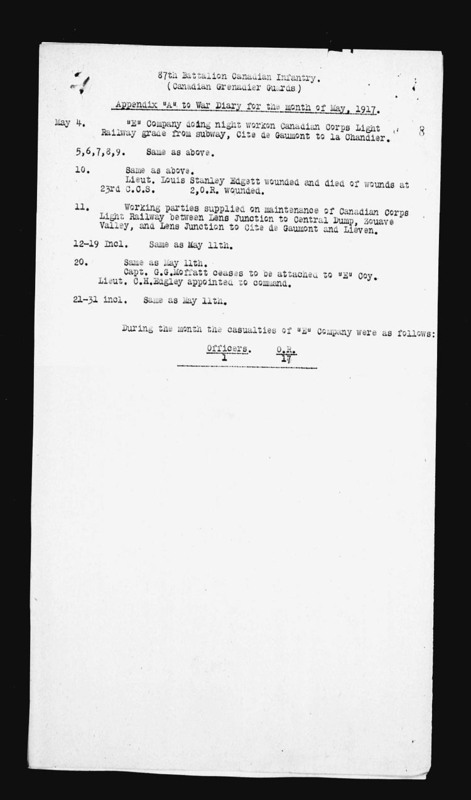 He was the son of Annie Bella Steeves (formerly Edgett), of Moncton, New Brunswick, and Capt. Judson Hughes Edgett (mercantile marine). He enlisted with the 140th Battalion on June 20, 1916. His occupation was listed as student. He served overseas with 60th Battalion (Victoria Rifles). He died serving with the 87th Battalion of wounds suffered during an enemy counter-attack. He has is buried in LAPUGNOY MILITARY CEMETERY. He is listed on page 233 of Canada's Book of Remembrance. There is a stirring memorial on the UNB website about midway down the page. He is commemorated by a family stone in the Grey's Island Cemetery, Hillsborough, NB. The War Diaries of the 87th Battalion on May 10, 1917 - Here and Here. 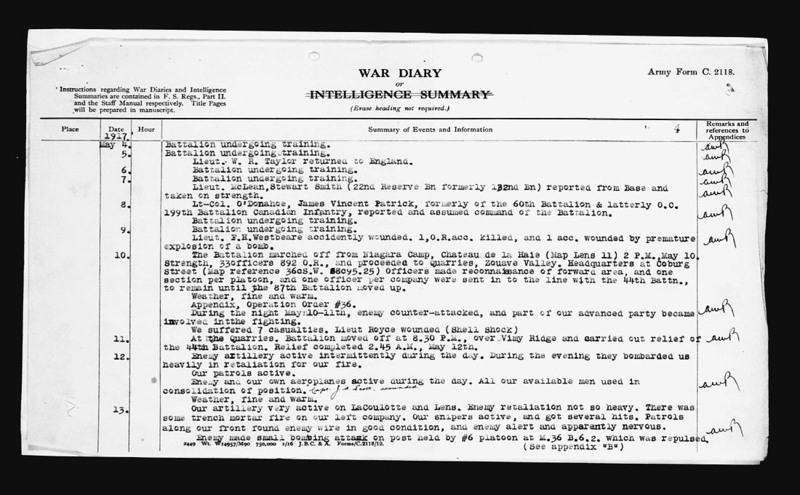 His personal war diary was published and can be purchased here.